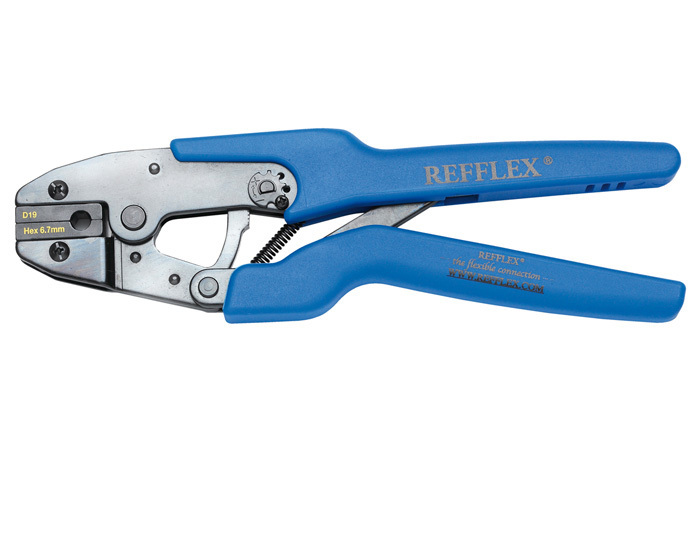 Hand held crimping tool 2.0 mm (200632) - Refflex International B.V.
Hand held crimping tool, suitable for our DN-2.0 mm system only (aluminium crimping sleeves). For pressing the DN-5.0 mm fittings you will at least have to use the HD work bench tool 200636. Please check the manual before using.